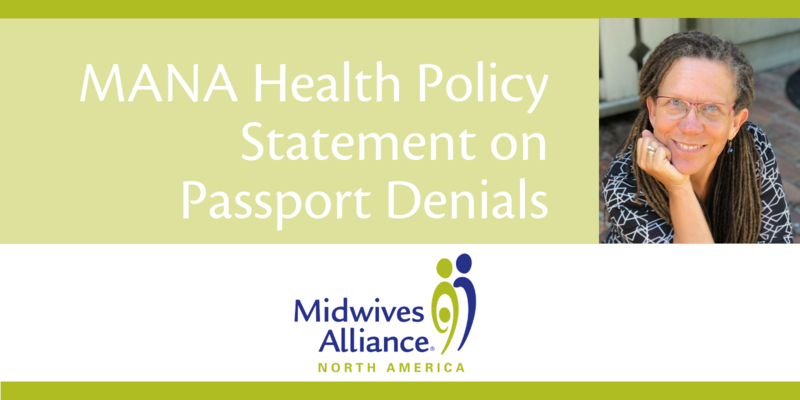 Midwives Alliance of North America (MANA) is concerned about recent news reports of the revocation or denial of US passports for American citizens born at home near the US-Mexico border, particularly if a midwife attended their birth. Furthermore, there have been reports of people being detained and their citizenship questioned, even leading to deportation proceedings and denaturalization. This attack is a heightened renewal of a Bush administration era policy, the impact of which denied passports to US citizens of Hispanic descent. The policy was formally ended by the Obama administration in 2009 following a settlement agreement (pdf available here) with the ACLU. In spite of the settlement agreement, the practice of passport denial is continuing to happen now, affecting midwives and their clients in border states. Midwives Alliance condemns any involvement in the provision of fraudulent vital records. Of greater concern is that American born citizens are having their citizenship questioned, their rights violated, and their passports denied or confiscated because of their race or ethnicity and for being born outside of an institution. Those being targeted in this crackdown are predominantly Latino people with increasingly less access to healthcare services in one of the poorest regions of the United States. Families choose home birth for a variety of reasons, including respect for cultural practices, because hospital care is unaffordable or unattainable, or due to institutionalized racism in the hospital setting. Midwives provide much needed care in areas where there are often no other providers of high quality maternity care. The life saving services midwives offer to mothers and babies should be welcomed, not viewed with suspicion. MANA abhors the blatant racial profiling, rights violations and systematic discrimination being used to intimidate those affected, as well as the deep disrespect of the integrity of the midwives serving them. We implore the Trump administration to end this practice of discrimination against people of color by treating existing vital records as legitimate.